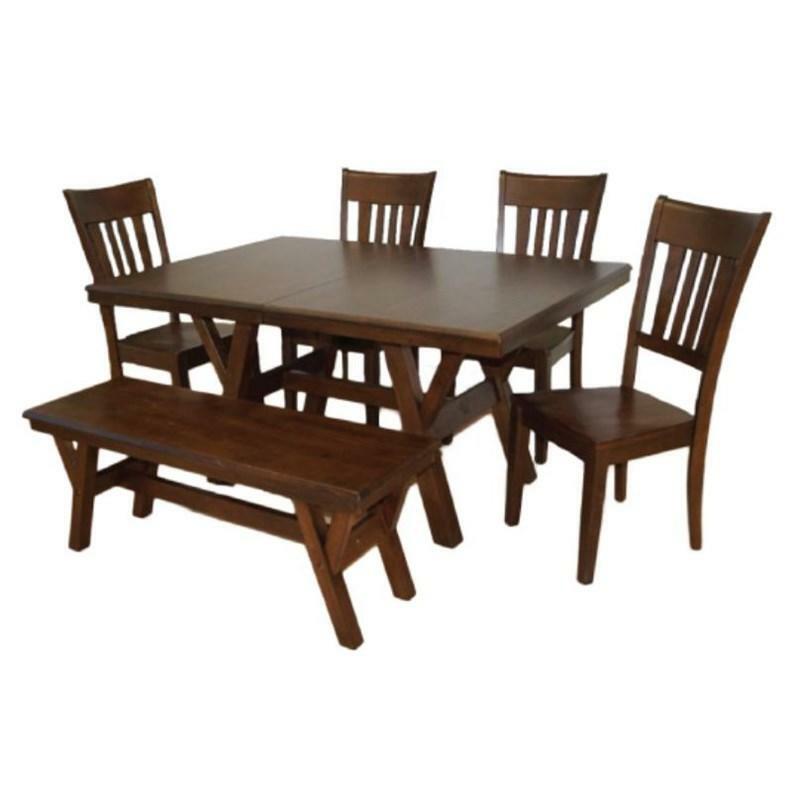 This dining chair is constructed from Asian solid hardwood and comes in dark oak finish. It features a slatted back, wood seat, and tapered legs. It can be paired with the matching dining table and bench.